TO BOOK YOUR PREMIUM PRIVATE TOUR ENGAGEMENT NOW PLEASE COMPLETE AND SUBMIT THE FOLLOWING BOOKING FORM OR, IF YOU PREFER, SEND ME A BRIEF MESSAGE USING THE FOLLOWING CONTACT FORM. It is recommended that you first review my TOUR FEES AND GENERAL TERMS page and my Tour Calendar (also located on the bottom of this page) to determine my availability. If you have any questions, you can check my FAQ page as well. I will always CONFIRM your booking by email. If you do not receive my confirmation within 24 hours (highly unlikely), please contact me again. You can also send a brief message or book a tour engagement utilizing the following Contact Form. LAST MINUTE AND SAME DAY BOOKINGS ARE WELCOME 24/7, 365 DAYS A YEAR. SINCE TIME WILL TYPICALLY BE OF THE ESSENCE ON SUCH OCCASIONS, PLEASE SEND ME A MESSAGE USING THE FOLLOWING SHORT MESSAGE FORM, BY EMAIL OR BY PHONE. I CONSTANTLY MONITOR MY EMAIL AND WILL REVERT TO YOU SHORTLY. Be sure to email me or use this Contact/Booking form. Please don't Whats App me unless it is the day of your tour or if no other means of communication are available to you. So your best alternative for reaching me during the day is via email communication. If voice communication is absolutely required, early morning (after 6AM HK Time until 9AM ) or in the evening (after 7PM Hong Kong Time) on days that I am on tour. Completing this form also helps me to personalize your premium tour engagement. Option One--Yes, I confirm this date is also fine. Option Two--Please contact me first if the preferred date is unavailable. Please Note: Night Tours Are Limited to 3.5 Hours. Tours longer than 8 hours can be arranged by direct inquiry. 8 Hours (Day) [My Recommended and Most Popular Choice] 3 Hours (Day) 4 Hours (Day) 5 Hours (Day) 6 Hours (Day) 7 Hours (Day) 3.5 Hours (Evening) I am interested in a tour with a duration exceeding 8 hours. Just Yourself 2 Persons 3 Persons 4 Persons 5 Persons 6 Persons I am requesting more than 6 persons. Option One--I leave the itinerary entirely up to you. Option Two--I have some special requests, see below. Any Special Requests or Personal Requirements? Have you been to Hong Kong before? If so when? What did you see? Please note, snacks and meals are not included in my fee. Option One--Please include a local meal or snack stop. Option Two--I would just like a snack on the go. Option Three--I have a strong preference for first class/rated eating establishments. Option Four--Forget the food, lets walk! Physical Condition * Option One--I am fine to do a walking/public transport tour. Option Two--I have some issues so adjustments are needed. Option 3--I use a walking aid. Payment Method * Option One--I want to pay by credit card via PayPal. Please send me a payment request. Option Two--I want to pay by cash on the day (USD or HKD equivalent). IMPORTANT: BY CONFIRMING THE TOUR YOU ARE AGREEING THAT YOU HAVE READ AND ACCEPTED MY GENERAL TERMS AND CONDITIONS AND FEE SCHEDULE AS DETAILED ON THIS WEBSITE AND IN MY EMAILS, IF ANY. Option One--Yes, I wish to confirm the tour now. Please put me on your calendar. Option Two--No, I need more information to consider. Thank you for your time and patience in filling out this contact booking form which will assist me in planning the details of your private walking tour engagement. I will let you know by email ASAP that I have received your confirmation and have put your private tour engagement on my calender. 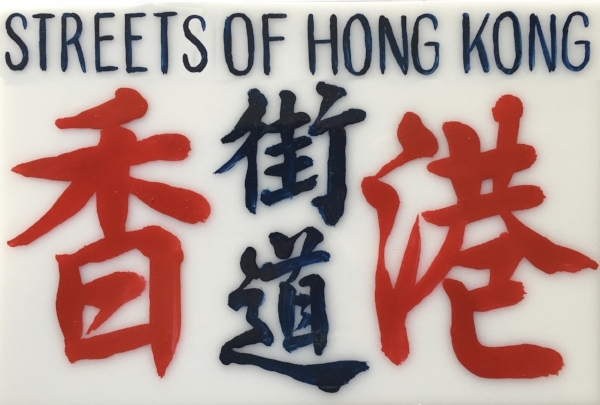 I look forward to meeting each and every one of you and planning and executing an entertaining, informative and memorable experience for you on the Streets of Hong Kong! If you would like to contact me directly you you do so by email: williambanzai7@gmail.com or telephone 852-5190-0601. Thank you for this engagement. I look forward to meeting you on the appointed day!